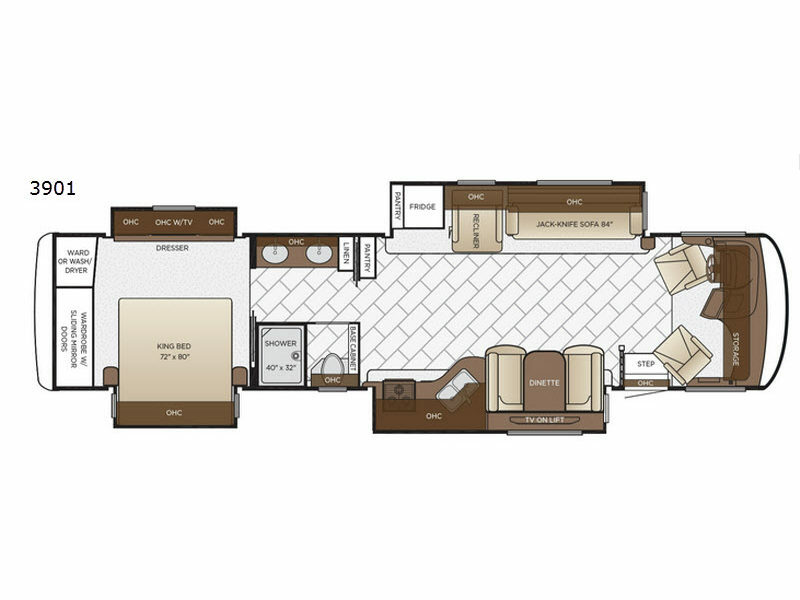 When you are ready for an extended vacation, then come load up your family, your necessary camping items, and hit the road in this 3901 quad slide out Canyon Star class A motor home by Newmar. In the spacious kitchen you can easily prepare your favorite meals. 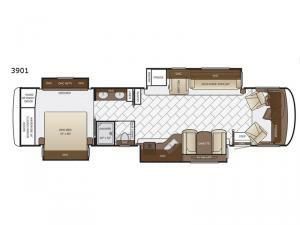 There is plenty of seating space with the dinette, 84" jack knife sofa, and the recliner. The walk-through bathroom has two sinks which makes getting ready for the day easier and in the master bedroom you will find a king bed plus there is an area that has been prepped for a washer and dryer!